Charles William "Weno" Taitt, 92, of Hurst, passed away Monday, June 25, 2018, at Memorial Hospital in Carbondale. Graveside services will be held at 10:30 a.m., Monday, July 2, 2018, at Blairsville Cemetery, with Rev. R.H. Chitwood, Whit O'Daniel and Pastor Michael Williams officiating. Please express your condolences by contributing to Hurst Volunteer Ambulance Fund, P.O. Box 129, Hurst, IL 62949. Charles was born on November 2, 1925, in Piercetown, Illinois, to Otto Mark and Anna (Joplin) Taitt. He married Verna Mae Falmier on February 21, 1948, in De Soto. She preceded him in death on November 3, 2013. He is survived by his daughter, Deanna (Wayne) Wheeles; grandchildren, Whit (Lisa) O'Daniel, Cinnamon (Tom) Smith, Marshal Rosenberger, and Austin (Whitney) Waldron; great-grandchildren, Avri O'Daniel, Aidyn O'Daniel, Kade Waldron, and Kash Waldron; sister, Margaret Edwards; son-in-law, Tom Waldron; sisters-in-law, Rosemary Taitt and Mary Falmier; and numerous nieces, nephews and friends. Charles was preceded in death by his parents; wife; daughter, Cindy Waldron; son, Gregory Mark Taitt; brothers, Jim Taitt and Paul Taitt; and sisters, Jewell Loyd and Edna Spiller. 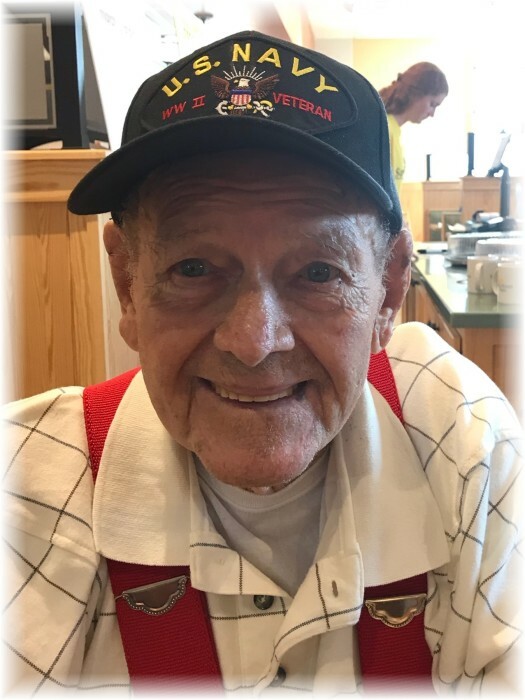 He honorably served our country in the U.S. Navy during WWII, serving overseas where he was assigned to LST819 which took troops to the barrier ports along the South Pacific. From 1953 to 1961, Charles owned the Grease Room, an auto maintenance repair shop in Carbondale. He went on to open Charles Taitt Trucking in Carbondale, retiring in 1991.